I snagged this recipe from Julia, who typed it up from Annie’s Eats…so there is basically nothing original about it! But it is STILL delicious. 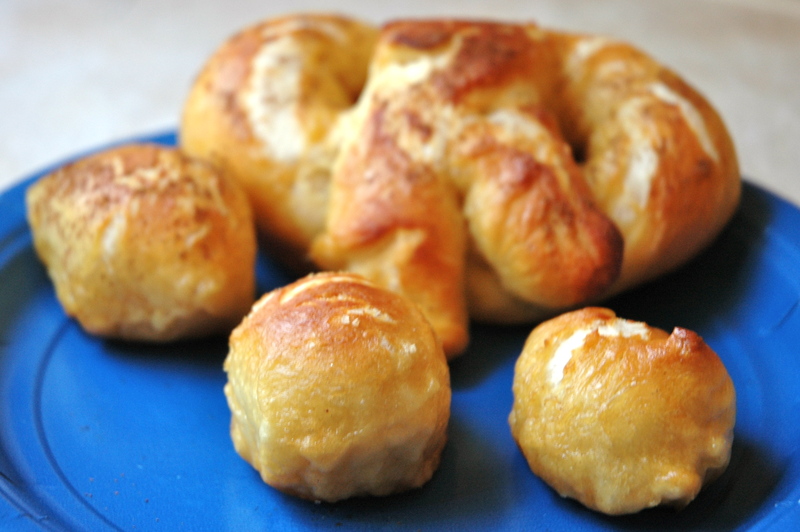 And considering it was my first attempt at homemade pretzels, I’d say they turned out quite well despite my not-so-hot photos below. For these, I mostly made them bite sized, with just a few full-sized pretzels. 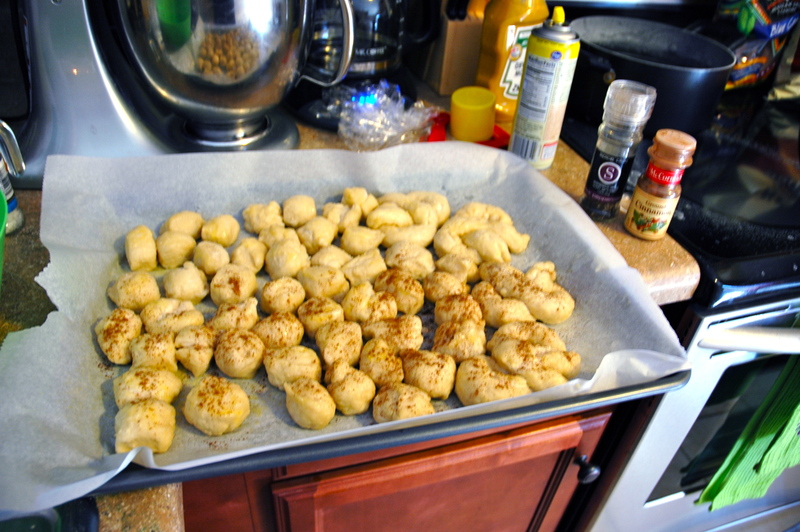 I sprinkled half of them with salt, and half of them with cinnamon. These were both great decisions! I cannot recommend this recipe enough…YUM!